Former parliamentary secretary to the Premier John Les says he doesn't think it's practical to leave more of a paper trail when doing government business. The Chilliwack MLA gave his opinion in response to the B.C. 's Information and Privacy Commissioner recommendations following an investigation that began after a number of Freedom of Information requests to the premier's office came back empty. Commissioner Elizabeth Denham found that FOI requests to the premier's office failed to find records 45 per cent of the time, which is a higher rate than any other government department. On Monday, Commissioner Elizabeth Denham released a report in which she calls for changes to the province's freedom of information laws to ensure the government documents its key actions. Denham said the government has been carrying out business orally, without leaving paper records. But Les says that's always been the practice. "I think it's very much, you know, the way business has always been conducted," Les said. "There have always been oral meetings that don't have much of a paper trail. I don't think that's anything particularly new," he said. Les says he often sees staff using their government-issued Blackberries. But, he says, if he doesn't want something to wind up in the media, he's always careful about what he sends. Denham said there is currently no requirement for any activities to be documented, and without that documentation, "government can effectively avoid disclosure and public scrutiny as to the basis and reasons for its actions." Information and privacy advocates also want people to be able to see private emails if they involve government business. 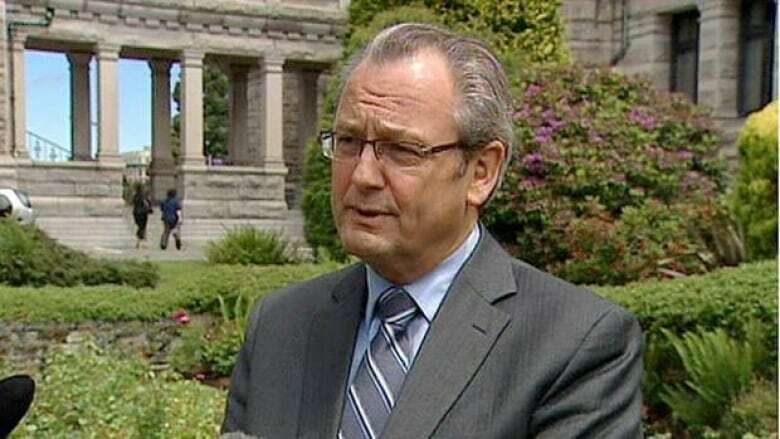 Vincent Gogolek, executive director of the BC Freedom of Information and Privacy Association, claims the Liberals' leaked ethnic outreach plan was originally sent out through private email addresses to try to get around BC's Freedom of Information Act. "Our view is that they are covered and they are actually government records under the Act and they are FOI-able. They might be harder to find, but they are records," Gogolek told CBC News. Denham agrees the private e-mails should be disclosed when they discuss government matters. She has recommended the province change its laws so government has to document key decisions. Premier Christy Clark said she will consider the commissioner's recommendations.